When Mike was a young man (wait -- he's not that old!) he began to work in the landscaping industry. He quickly found out that he loved making things beautiful, loved to work with his hands to be creative, and he enjoyed working with people. He did all types of landscaping including sprinkler systems, hardscaping, and even snow removal. As he learned more, he was introduced to backyard ponds. This really got him excited! 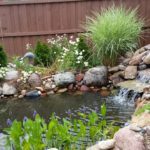 He could imagine building gorgeous ponds in people's yards that would help them relax, get them outside with their children, and benefit the environment at the same time! 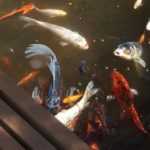 With the support of his wife and two young children, he set out to build a business that specialized in the creation and service of ponds and waterfalls of all kinds! This was a risky step-- starting his own pond business. He'd had his own landscaping business for years, but he felt passionate about the artistry of creating waterfeatures. He wanted to have fun, and help others while supporting his family. 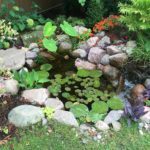 In 2006, he found Aquascape, a product and waterfeature company in Chicago that works across the globe. They set the standard for waterfeature products and quality service. He discovered the friendship, the support and the training to help make his business successful. Throughout the years Mike has become an expert pond builder! Experience has made him the person he is today, an artist who builds waterfeatures of all kinds, bringing joy to families, and finding fulfillment in his own work. Mike is committed to providing his crew with ongoing training through Aquascape, keeping them at the cutting edge of waterfeature creation. He also participates in donation pond-builds and service projects that benefit communities and individuals. 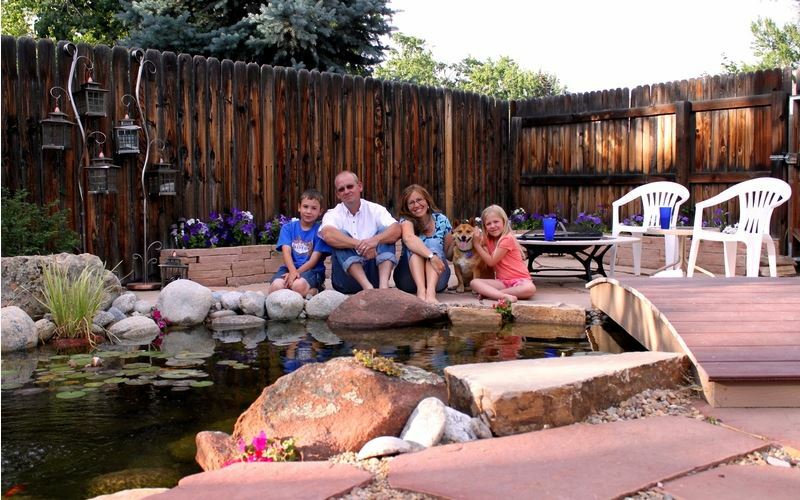 If you are looking for a pond company with integrity, experience and artistry, you have found your company! Contact us today. Water You Waiting For?